As the project has matured we’ve had thousands of contributors who have been willing to donate into the initial round of funds that will go in to DHS in October 2018. Some of you contributed as early as November 2017 and have been patiently waiting for us to deliver value for your money. To date, exactly 0% of our early contributors have asked for a refund and we greatly appreciate the trust you put in us to have donated to early in the process and the faith you’ve had that we would see this through. 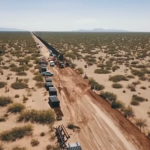 The American Border Foundation team, and by extension all of you as our donors, are committed to getting and keeping America’s borders secure. Our first project is this website to crowdfund the wall, but that isn’t and won’t be our only project. It is, however, unique, because the nature of a crowdfunded initiative leads one to expect that the vast majority of the funds contributed will make it to the expected destination. In this case, you’ve made it clear that you want and we’ve made it clear that we intend to deliver a very high percentage of what’s contributed here to the Department of Homeland Security’s account. 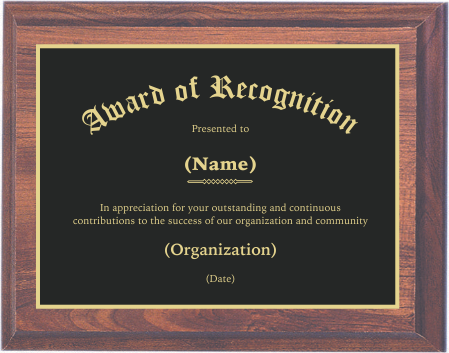 However, we have heard any number of ideas relative to how some of you wish you could be recognized. The thing that most often comes up is a brick of some sort, but we know there are any number of items that we could personalize and ship. The issue arises in that even if we spent just $10 to buy, customize and ship an item to each donor who sent in $100 or more, that would cost America 10% of the donations in recognition. By proxy, we’d then need to raise $495 million to pay for a $450 million project and it would be that much more difficult to achieve our goal. That being said, we know this is a historic achievement in that this is the first time we’ve successfully crowdfunded a US Government project and this one in particular is so important. Now that we’re well underway and the first delivery is scheduled, we are putting together a charter donor program for everyone who’s contributed so far and will include everyone who donates prior to the first deliver to DHS occurring. All the members of the Foundation want to make the experience of being a donor as satisfying as possible and we recognize that beyond seeing your contribution make a difference (it will and does!) it’s nice to be recognized sometimes too. In addition to the Charter Donor program and the items we send to you personally, we are also building out a page on the site to recognize donors contributions and we’ll be contacting you soon to see if you want to be listed on there. Regardless what you choose, we appreciate your support of our foundation and especially your interest in helping secure America’s borders. Together, we do make a difference in helping to stop the scourge of drugs, violence, and financial impacts on our country caused by an inability to enforce our border. If you’re a donor, or even just an interested party, we invite your comments below on your opinion of how we approach this challenge.